We all enjoy having friends, and many of us don’t mind having friends who are furry and have four legs. If you own a dog or a cat, congratulations! 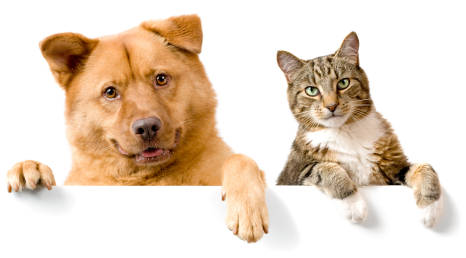 You’re one of over 65% of the American households whose members proudly claim themselves as pet owners! According to statistics of the American Veterinary Medical Association, approximately 79 million households in the United States own at least one dog or cat. In 2015, the American Pet Products Association estimated that pet owners would spend more than $60 million on their lovely little friends. In addition to the high expenditure, pet owners also need to go through the troubles of walking their dogs, changing the litter box for their cats, taking them for grooming, cleaning up the cottons they tore out of the sofa pillows…By now, you may start to wonder, why do people still want to have these furry friends? Well, part of the answer is that the benefits of having them probably outweigh anything you can think of to make them look bad. Let’s begin the discussion with their benefits for children. One article published in JAMA Pediatrics concluded that children who have a dog in the household are less likely to develop asthma by the age of six. Another research suggested that in the United Kingdom, babies who live with dogs or cats in their first year have fewer colds and fewer ear infections. The benefits of having a pet are not limited to physical health; it was also found that having the company of pets is beneficial to children’s mental health. Children who have pets at home are found to be more popular and more empathetic. They learn about responsibility as well as how to cope with loss with the help of their furry friends. For the whole family, having a pet in the household often increases the amount of time family members spend together, which facilitates family bonding and maintains or improves the quality of family relationships. In addition, these furry friends are great companions for children with attention problems. Taking care of a pet requires planning and following the plans, which can be a good exercise for the child to become organized. Playing with the pet also burns out excessive energy and enables the child to concentrate afterward. Adults also benefit a great deal from having a pet. If you are living alone, having a pet provides company and relieves the sense of loneliness. Having someone to share the daily routines also gives the owners a sense of security. Moreover, being a pet owner is in itself a great reason for socializing with others, and research has found that people who socialize more tend to have better mental health. Walking your dog, taking your cat to the groomer, or simply shopping for a Halloween costume for your pets are all ways to meet and socialize with people. Owning a pet also helps people who suffer from depression. The daily dog-walking requires the owners to go outside and engage in activities; taking care of the pet also makes the owners feel rewarded, relied on, and worthy. Furthermore, stroking or playing with a pet creates moments of calmness and satisfaction. Given all these benefits of having a furry friend, are you tempted to go to an animal shelter and bring one home right now? Before you do so, there are still many things to consider. For example, if you have a busy schedule, will it be a burden if you need to walk your dog twice a day? It is surely beneficial for our physical and mental health to own a pet, but it might not be a good idea if doing so puts more demands on us than we can handle, and therefore making us frustrated and stressed.